As you leave Madrid and traverse the Castilian meseta, dark-blue mountains rise slowly before you. John Barlow wrote in Everything But The Squeal that when you cross these mountains you cross not only a geographical boundary but also a cultural boundary. Beyond lies Galicia, a land of dualities. Sea and land. Coast and mountain. Village and city. Sun and rain. Modernity and tradition. Festa and morriña. Spanish and Galician. There are not such starkly contrasted dualities in my Nebraska; perhaps that is why Galicia fascinates me–because it is a land of contrasts. Nebraska stretches for miles unchanged; Galicia, like its weather, changes in the blink of an eye. 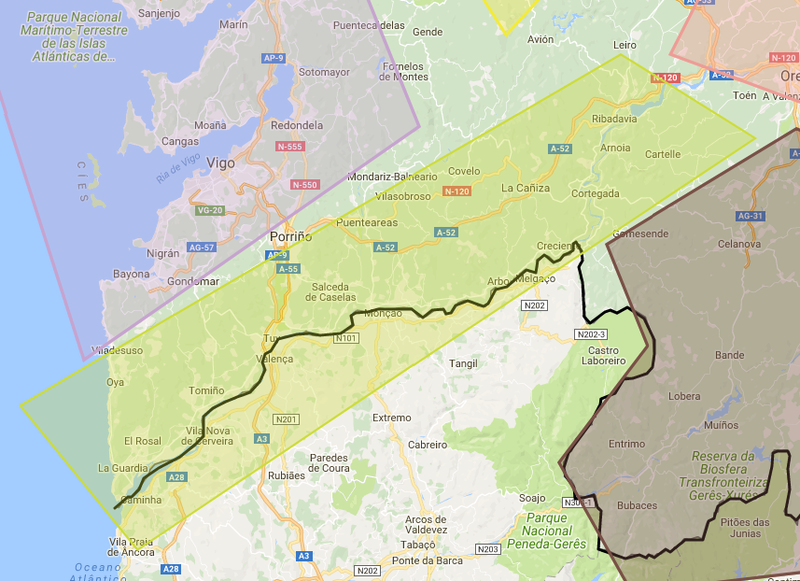 These are the variegated regions that make up Galicia and the main features of each region. The idea of Galicia as a single entity arose from the cultural exchanges on the Camino de Santiago. It was along this pilgrimage route that Galician sprang from a regional language to a European one, sang in royal courts from León to France. The French Way of Saint James–the most popular of the numerous routes–is lined with religious architecture in styles ranging from Romanesque, Gothic, and Baroque. The monasteries of Samos and Carboeiro are highlights, while the Cathedral of Santiago and Praza do Obradoiro have been the goal of millions of pilgrims since the remains of Saint James were supposedly discovered in the 9th Century. The Camino enters Galicia at O Cebreiro, a hamlet perched on a mountain ridge. Snow often falls on the unique pallozas and stone houses in winter. Saint James himself entered Galicia near Padrón, the village that gives its name to Galicia’s famous little green peppers, some of which are spicy while others are not. Padrón peppers pair perfectly with tetilla, a cheese from the Arzúa-Ulloa area. A Coruña is Galicia’s most modern city: its residents are sophisticated but other Galicians might derisively call them posh. Regardless, the city is a cultural and economic center. Notable natives include the writer Manuel Rivas, artist Luis Seoane, and musical group Luar na Lubre. The Tower of Hercules, the oldest functioning lighthouse in the world, has guided ships to safety since Roman times. Estrella Galicia–the best beer in Spain–is still family-owned and brewed at the factory in the city. But the Gulf of Árbatro is not all Coruña city. Betanzos is home to perhaps the best tortilla in all of Spain. Betanzos, along with Pontedeume, are two of the region’s prettiest villages. The Fragas do Eume is one of the best preserved Atlantic forests in Europe. And in any Galician home one is likely to find Sargadelos ceramics, which are made at the Sada factory. 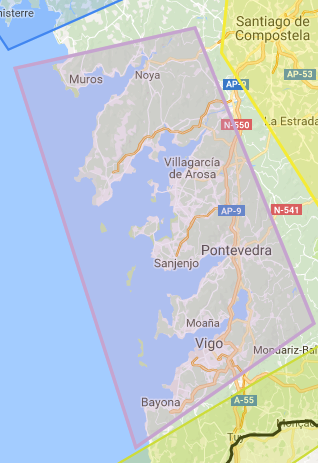 “While A Coruña has fun, Vigo works.” Such is the rivalry between Galicia’s two biggest cities. Vigo is the economic engine of Galicia due to its mighty port and the important Citroën car factory. Vigo’s industrial heft has given it a bad reputation but it is vastly underrated. MARCO is an excellent modern art museum and the city is the main departure point for the crown jewel amongst Galicia’s many natural wonders, the Illas Cíes, a beautiful archipelago at the mouth of the Ría de Vigo. It is the only national park in Galicia. Rodas Beach on the Cíes is often cited as one of the best beaches in the world. Spain’s best seafood–clams, mussels, cockles, and more–comes from the four inlets that make up the Rías Baixas. The varied seafood has the perfect accompaniment–albariño–the most popular white wine in Spain. The capital of the Rías Baixas wine region is Cambados, a beautiful seaside village. Noia, Muros and Combarro are a few of the quaint Galician villages in this densely populated region. The prettiest town, however, is the provincial capital, Pontevedra. Its old town is remarkably well-preserved, with plazas full of seafood restaurants and several churches like La Peregrina, a landmark on the Camino Portugués. Mile for mile, kilometer for kilometer, the Coast of Death has the most dramatic coastline and wild beaches in all of Spain. It received its ominous name as a result of the hundreds of shipwrecks along the coast due to the harsh Atlantic weather. Nearly every cape has a lighthouse; the most striking at Cabo Vilán and Punta Nariga. However, none compare to the legendary Cabo Fisterra, thought by the Romans to be the end of the world–hence its name. Some pilgrims finish their Camino here by symbolically burning their clothes while the sun sets in the Atlantic. The most hardy pilgrims continue on to Muxía, another legendary symbolic site. It was here that the Virgin Mary supposedly appeared in a stone boat to Saint James to comfort him in his attempt to Christianize the local inhabitants. If one has enough imagination the stone rudder, sail, and other parts of Mary’s boat are strewn across the rocky coast in front of the Virxen da Barca, the church that sits dangerously close to the waves. The history of the Coast of Death goes back before the early Christians and Romans, noted by Celtic ruins like the Dolmen de Dombate or Castro de Berneiro and others that litter the Coast of Death. The diagonal blue line on the Galician flag represents the Miño River, and it is in this region where the Miño empties into the Atlantic Ocean. Standing high above the river’s mouth is Santa Tecla, a Celtic hilltop settlement that is one of the most visited sites in Galicia and the largest and best preserved castro in the autonomous community. Stop in the nearby town of A Guarda for shellfish or the notable arroz con bogavante (rice with lobster). Upstream is Tui, one of the capitals of the seven ancient Galician provinces, whose cathedral is a popular starting point on the Camino Portugués. As you continue upstream you will reach Ribadavia, one of Galicia’s prettiest villages and capital of the Ribeiro wine region. Ribadavia was once home to one of the most important Jewish quarters in Galicia. The Ribeiro whites produced in the Ribadavia area are better, in my opinion, than the more famous–and sweeter–albariños from Rías Baixas. Pass through Limia at any time other than 40 days before Easter and you will think of the towns are simple, sleepy villages. But come during Entroido (Galician for Carnival) and your opinion will certainly change. The Entroido Triangle is formed by Xinzo, Laza, and Verín, all noted for their traditional pre-Lenten celebrations that culminate on Ash Wednesday. Each town and village in this region has its own traditional costume: the pantallas of Xinzo, the cigarróns of Verín, the peliqueiros of Laza, and so on. Allariz and Celanova are well preserved villages worth a visit any time of year. The Natural Park of Xurés, on the Portuguese border, is one of the best hiking destinations in Galicia. Across the border, the Portuguese town of Montalegre and village of Pitoes das Junias are worth a visit. If you have an appetite, it is best that you make your way to the Ribeira Sacra region. It is a region of gastronomic superlatives: the best octopus in Spain is made by the pulpeiros of O Carballiño; the best licor café and empanadas in Galicia are made in the province of Ourense; the most underrated red wine in Spain are the mencías of the Ribeira Sacra D.O. ; the village of Cea produces one of the only breads in Spain that carries a geographical certification by the European Union. In order to work up an appetite for the great food on offer, hike the Cañon do Sil or part of the Camino Sanabrés to the Oseira Monastery. The provincial capital of Ourense boasts some of Europe’s best thermal baths along the banks of the Miño River. In November, the city of Ourense and the surrounding villages celebrate Magosto by going to the mountains, rain or shine, to roast chorizo sausages and chestnuts over an open fire and, clouds permitting, a starry sky. One of the reasons for Galicia’s historical isolation from the rest of Spain are the mountains that separate the two. The Serra dos Ancares, Serra do Courel, and Macizo Central are foreboding mountain ranges that mark a clear boundary between Galicia, Asturias, and León. Here you will find abandoned villages, undiscovered Celtic castros, pristine hiking, and fresh mountain air. Lugo is an old town that you can literally walk on top of–it is surrounded by the only completely intact Roman walls in the world. The provincial capital is famed for its free tapas, one of the last provincial cities in Spain where such a practice still exists. Lugo comes alive with two popular festivals, the Roman-themed Arde Lucas in June and the Galician popular festival San Froilán in October. Mondoñedo, a former provincial capital itself and home to a large cathedral, holds its own unique festival in October. During As San Lucas, wild horses are driven from the nearby mountains into town and pass through the main plaza in front of the cathedral. The following day there is a large agricultural fair. The Rías Baixas has its islands and wine, the Coast of Death has its notorious reputation and wild beaches, but neither can compare with the dramatic cliffs of the Rías Altas and Mariña Lucense. The Vixía Herbeira, some of the steepest cliffs in Europe, rise out of the Atlantic Ocean near the legendary village of San Andrés de Teixido. The popular refrain says that Galicians who do not visit Teixido must visit it after their death, thus making it Galicia’s second most popular pilgrimage after Santiago. 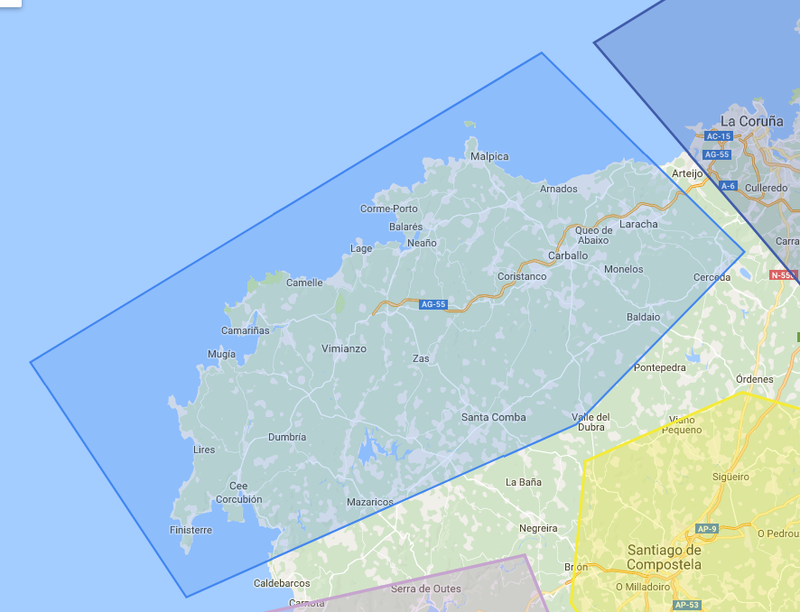 Also nearby is Cabo Ortegal, a wild and dangerous cape where the Atlantic Ocean meets the Cantabrian Sea. The precebeiros risk their lives along this coast in search of goose barnacles that bring in high prices at Galician fish markets. The breathtaking coastline continues all the way to Ribadeo, a quaint town on the border between Galicia and Asturias. The Praia das Catedrais (Cathedrals Beach) is a short drive from Ribadeo. This beach takes its name from the various arches and unique rock formations, which you can walk under and around during low tide. In fact, the beach has become so popular that the Galician government now requires entry permits (free upon registration) during the summer high season. I liked this reference a lot. Well done!